If you’re coming to World Fantasy next weekend, I hope you’ll drop by the reading that I’m doing with C.S.E. Cooney, Amal El-Mohtar, and Patty Templeton. I say “reading,” and there will be reading, but there will also be singing and harping and banjoing and cookies and dramatic interpreting. I think working as an artistic director has changed my brain, because I now see potential shows wherever I look, which is how this has become a thing with a set program and a poster! 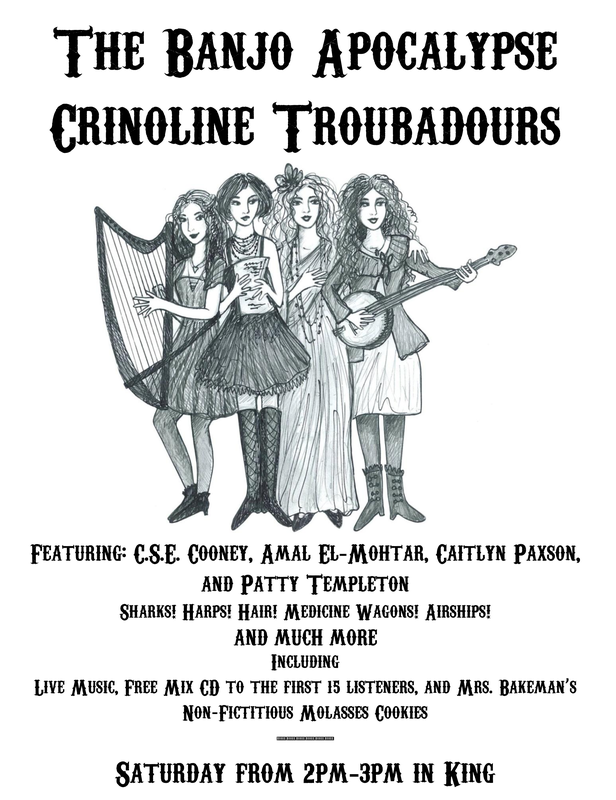 Behold, the poster, with portraits by Betsie Withey!